This is how Manuel Arcêncio of Agrupamento de Escolas da Murtosa (Portugal) defines the TangIn pilot test phase that is currently undergoing at three schools of the cluster. 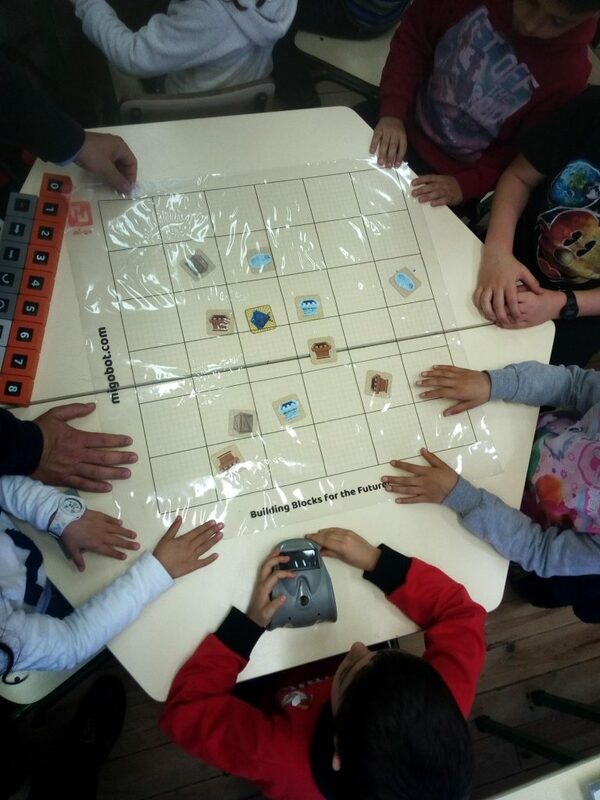 The Agrupamento de Escolas da Murtosa is deeply committed with the pilot test phase of the TangIn project, that aims to trial the toolbox of educational resources on tangible programming for primary school teachers. The pilot has started on the 3rd week of March and will end by the 2nd week of June and gathers the involvement of 6 primary school level teachers of three primary schools of the Murtosa cluster: Monte primary school, Murtosa primary school and Torreira primary school. The pilots are being implemented in classes from the 1st to the 4th grade and will benefit directly around 150 students. The Portuguese teachers will test the introductory lesson plans and have selected to test 6 thematic lessons in their classes. Covering different STEM-based subjects. For more information and details related to the pilot experience in Portugal, you can contact Mr. Manuel Arcêncio (arcencio@gmail.com), responsible for the implementation of the activities in the Portuguese schools.